Emmett’s Pensacola – Tell my story. Readers, now that I’m back from the research trip to Pensacola, I can catch up on what I saw. I was pleasantly surprised to see that many of the buildings where Emmett lived and worked still exist, and are in good repair. 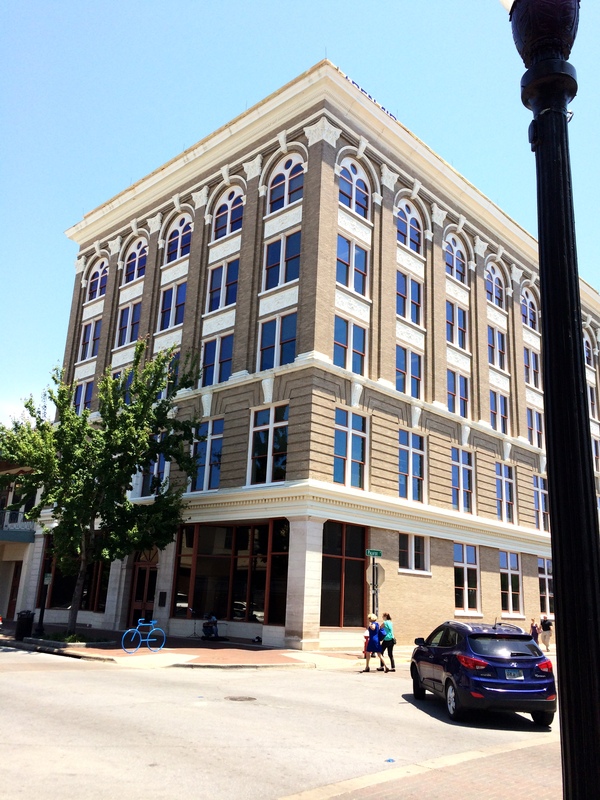 This photo (right) of downtown Pensacola from 1910 shows Emmett’s office building, then called the American National Bank Building. He had an office on the 7th floor. 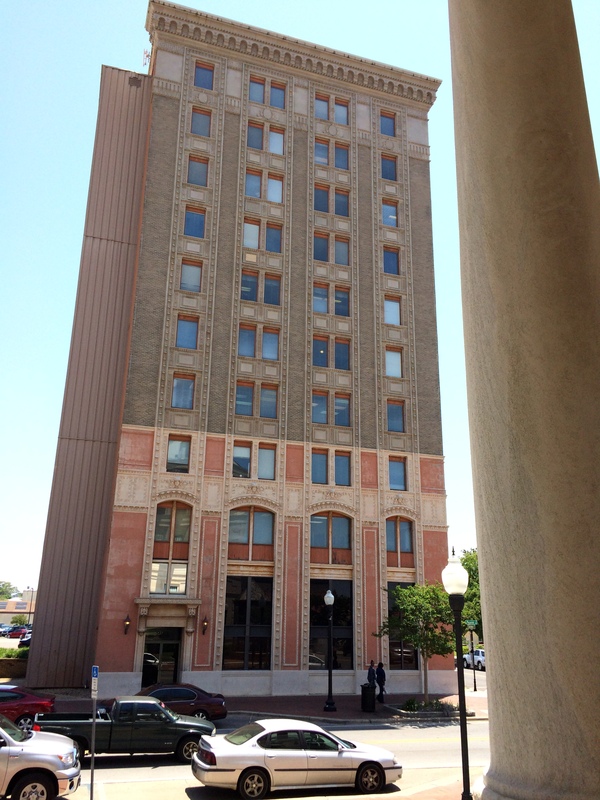 Here’s a photo of the same building, today called Seville Tower. I was a bit surprised to see that it was pink — or do you call it salmon? I’ll have to check with my intrepid tour guide, Jacki Wilson, of the Pensacola Historical Society, to confirm that this is the original color. Looking out of what was Emmett’s office on the 7th floor of the original ANBB. Today it is an art gallery and cultural events are held there. We rode up in what was an updated but original size elevator (also once was run by a human being) to the 7th floor. 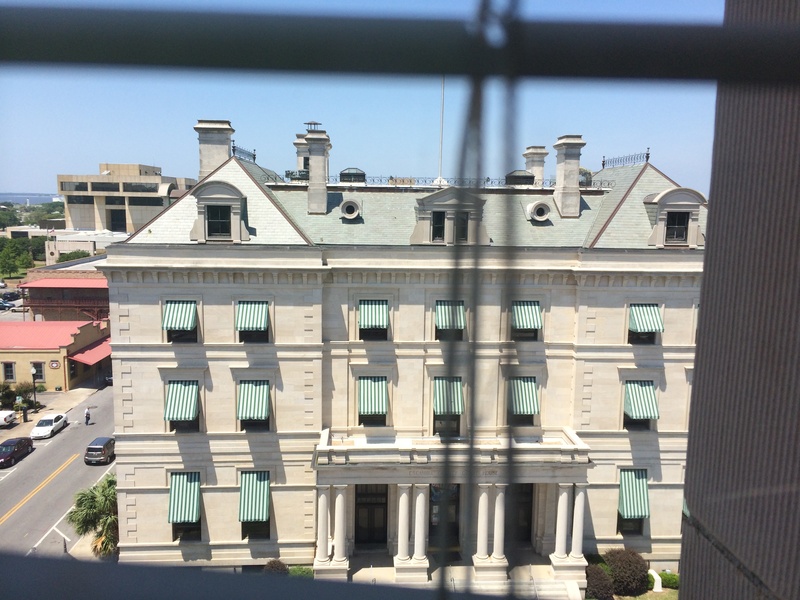 The law firm receptionist was very nice and let us take a look out the windows of the office to see what Emmett may have seen back in the day — namely, his old office building, which was (and is) right across the street. Back in Emmett’s day, this was the Customs House building, which also housed the post office, and several federal offices on the third floor. Emmett was the assistant district attorney for several years; so, his office was on the third floor of the Customs House. 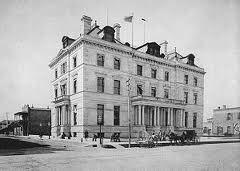 We then went across the street to see the Customs House, now an art gallery. The building itself is in very good condition. When Emmett was a congressman, it had needed a lot of repairs, and he got a $30K appropriation for the improvements. Today, that would be about $630,000. A lot of the improvements needed then were cosmetic (wall repair, painting, light fixtures, sidewalk). 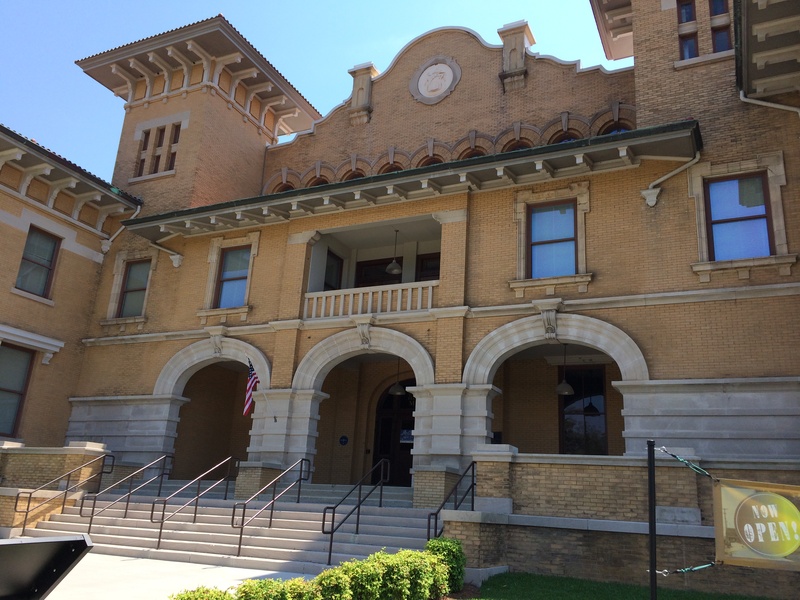 Regardless, it looks as if the people of Pensacola care a lot about this historic building, because it is in excellent condition today. We also took a stroll through Plaza Ferdinand VII. 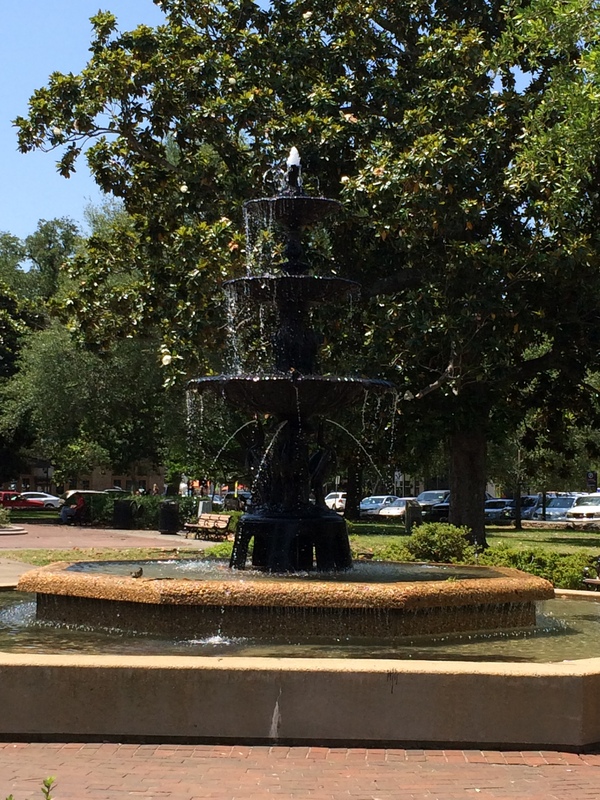 There is a lovely fountain that Emmett would have seen every day, that is in excellent condition. It was nice to see it as he would have seen it. The fountain at Plaza Ferdinand VII. 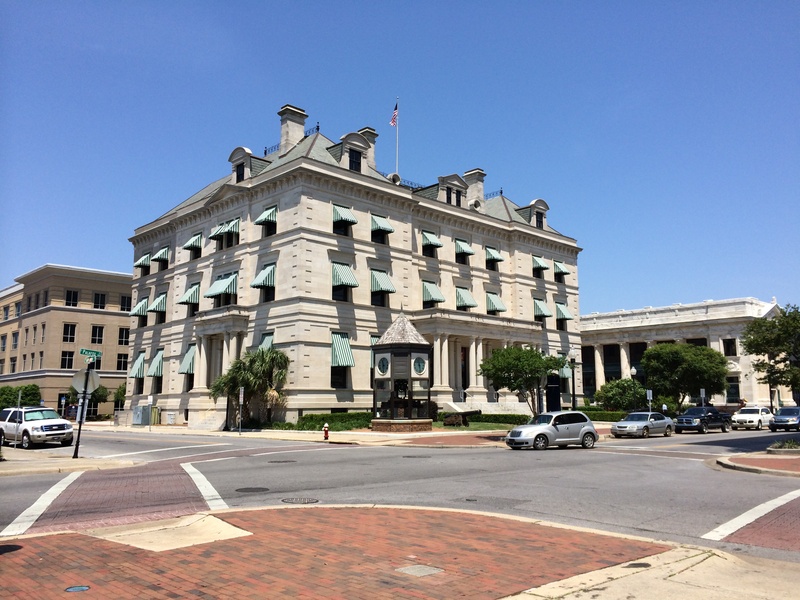 The great benefit of walking around a historic town with an archivist is that you get an excellent (and behind-the-scenes) tour of Pensacola, along with great details about the interesting people who lived there. It was a fantastic experience to hear about the people Emmett would have worked alongside, or dealt with in the courtroom, or who would have hung out with him at The Osceola Club and the Elk’s Lodge, which were the two the private men’s clubs he belonged to back in the day. 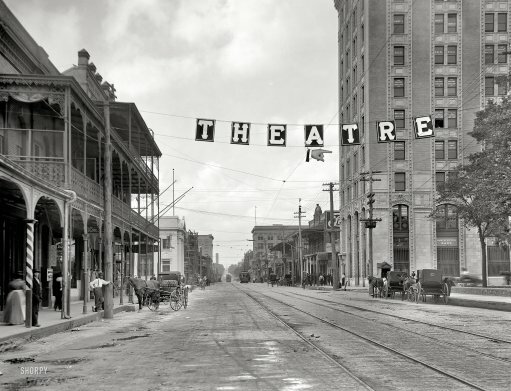 Emmett didn’t own a car, but he didn’t have to: Pensacola had a trolley, and then, most of the places he frequented were no more than four or five blocks away. A courting bicycle. 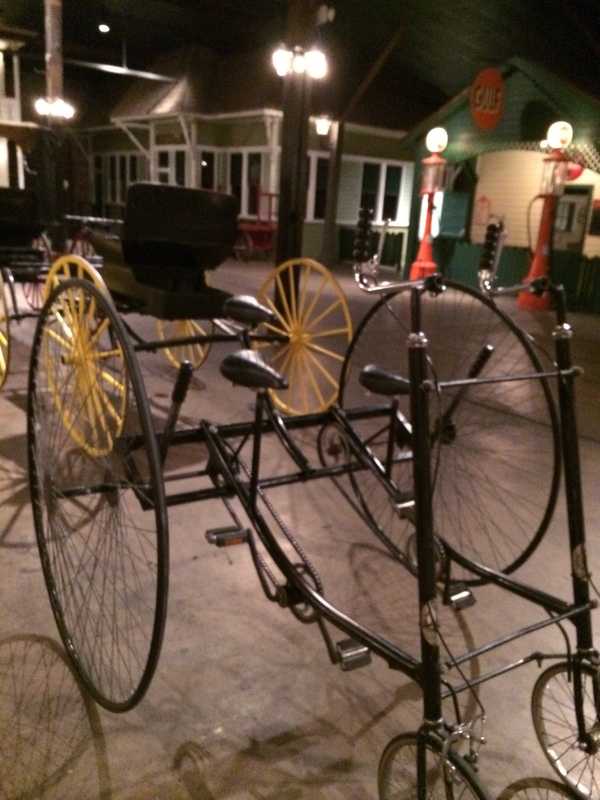 The chaperon would sit on the third seat behind the courting couple, who did all the work/pedaling. A barbershop chair. 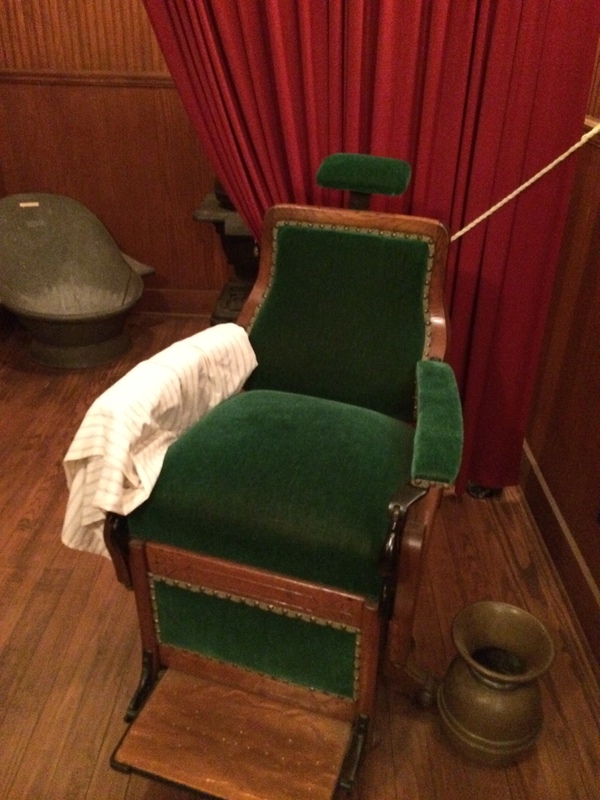 Emmett likely sat in this once and had a shave. 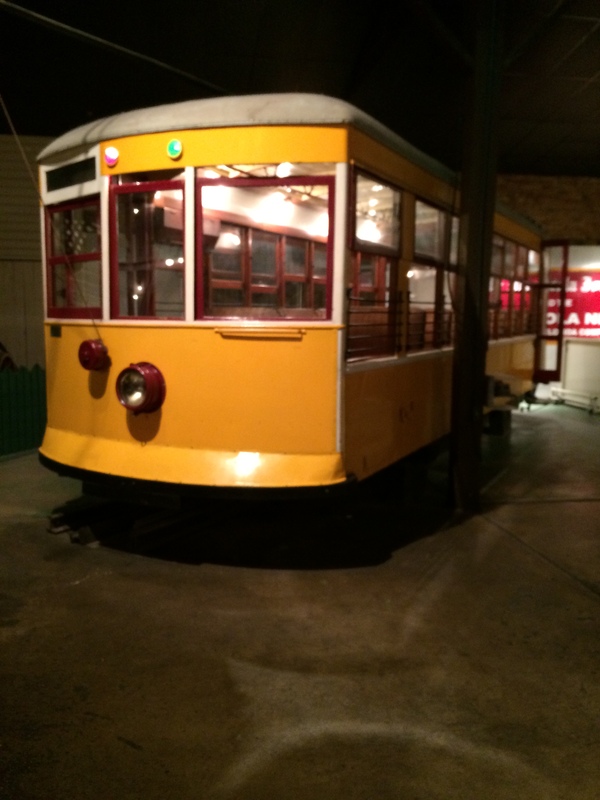 One of the actual trolley cars from Emmett’s time. Jacki feels quite confident he rode in this car when he lived here. 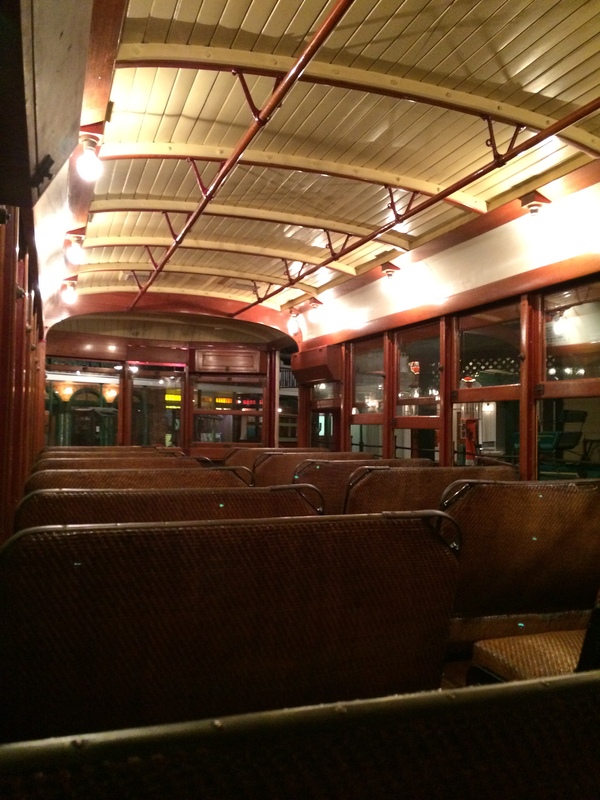 The inside of the trolley car, restored to what it would have looked like in Emmett’s day. The Theissen Building. Emmett didn’t work here, but he passed by it every day on his way to work. It is in excellent condition. City Hall back in Emmett’s day, but now the T.T. Wentworth Museum. 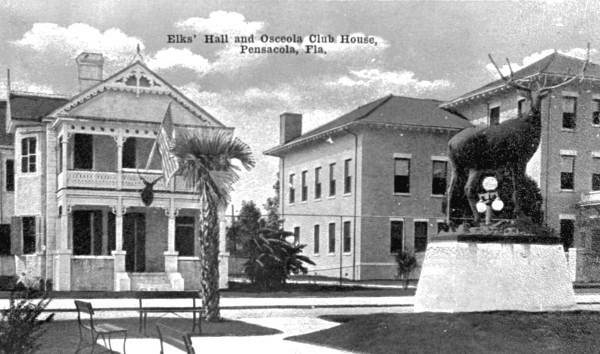 Part of the Pensacola Historic Society and the University of West Florida. I’ll have more to share about this great trip tomorrow. 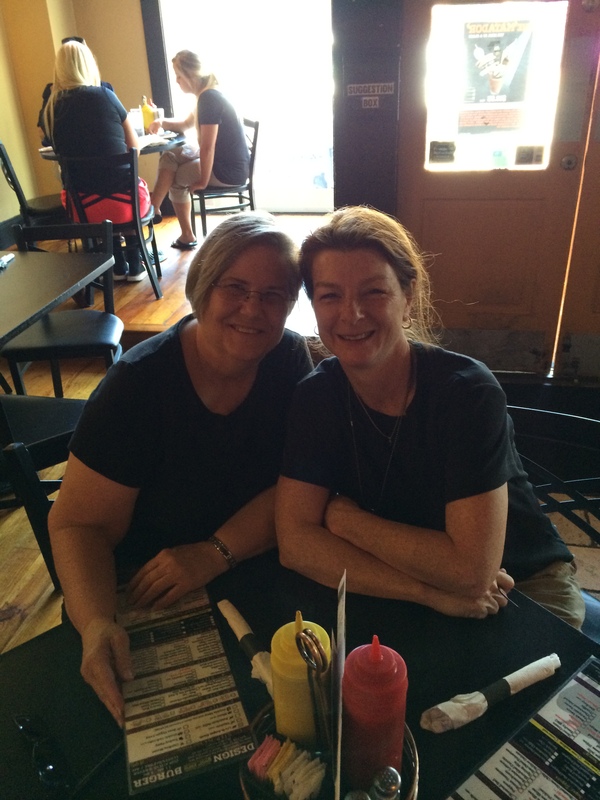 But before I go, the intrepid Jacki Wilson and I ended our hike about historic Pensacola with lunch! The best part of this trip is hanging out with new friends! Food, friends, and history, people! I highly recommend it! Pingback: But for the Grace of God – Tell my story.